My name is Jake Hynes and today I cannot be more proud to announce ﻿my sincere gratitude ﻿and extremely proud acknowledgement of being announced as the SCTA Junior Scholarship recipient of 2015/2016. It is extremely humbling and quite daunting to be associated with past recipients of this Scholarship and hope to live up to the objective that lies ahead. After finishing the 2013 Rugby League Season as a part of a premiership winning team, scoring two tries and Man of the Match ﻿﻿and picking up Best Forward for the season I questioned myself after ﻿﻿7 years of Rugby League where was my sporting passion and initially decided to keep fit in the off-season by getting back into the swimming pool. It was here while swimming with the Kawana Waters elite squad that I kept looking across at the other lanes at the SCTA squad, but the thing was they were there 5 days a week, like I was currently, so Curiosity got the better of me and checked on-line for the training regime for SCTA….they had variety, swimming, running (which I was confident in) and riding sessions on different days of the week. 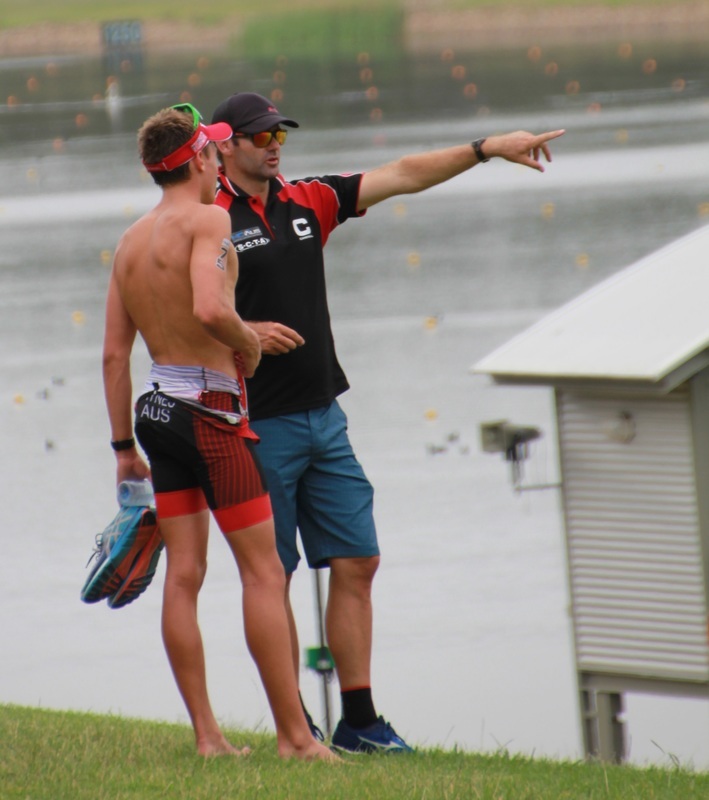 I sat down with my parents and we met with Toby Coote (Head Coach & Director of SCTA) and discussed the options about joining his squad and the necessary commitment to really become a competitive Tri-Athlete. Toby’s words, while inspiring were very confronting to me to accept the challenge and this is exactly when I decided to hang up my footy boots and enter the world of Triathlon. 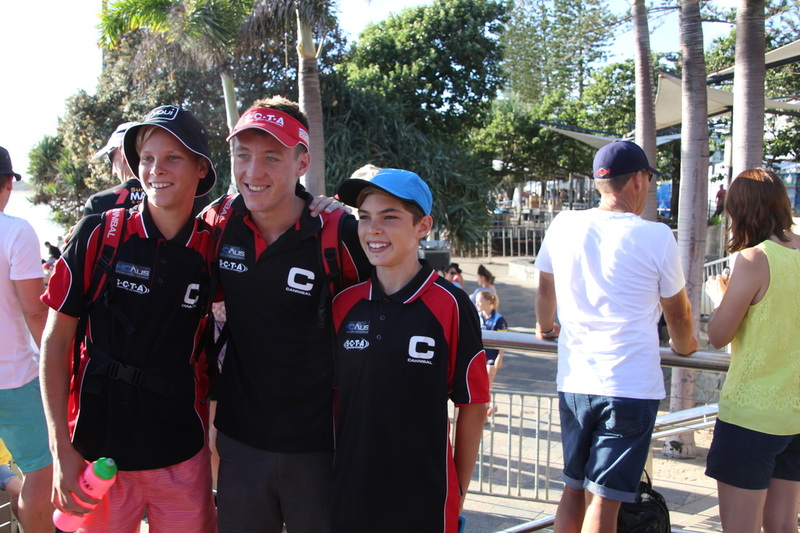 This was a big shock to my family, footy team mates and footy coach at the time, they made it even harder by challenging my decision but I was excited about a new focus and discovering my potential in this sporting arena. Joining the SCTA squad under Toby Coote, at first was difficult, as Toby’s sole focus was preparing his squad for the major races that were just around the corner and was totally honest with me about why. Now having a season behind me I understand even more this tactic. I was to turn up to each swim session, wind trainer and core session and track session to start with but not the ride or the Tuesday afternoon run sessions. The sole reason for no riding sessions was the simple fact I didn’t understand the road rules of riding within the squad and the chance of me taking them out. The real reason was I had never even ridden a road bike before in my life and what were “Cleats”? That’s right I had never ridden a Road bike let alone “Clipped in with Cleats”…..this was a huge learning curve for me, however just inspired me to learn fast so with my father I practised while the squad was out riding, in our own in the attempt to get into the squad full time as quickly as I could, not so much learning skills but getting strength in my legs and learning how to clip in and out….the real basics. Having just come off my first break in 16 months, I am really excited to have just finished my Year 11 school exams to get back into training 100% for the up-coming Time Trials and Season ahead. With my first winter block behind me I now know how worthwhile it is to dig deep on those cold mornings, and wet running sessions because the platform for the season ahead will only have the rewards you put in during these months. Even during those dark, cold morning rides….early morning cold winter swim blocks or those freezing cold afternoon run session in the wet….my drive to be the best will be tested but never waivered. What is exciting about the season ahead is the fact I can see my results and efforts from training come in, and to compare against my previous times. I am also looking forward to hopefully getting more podium finishes and to be more competitive in the open category. 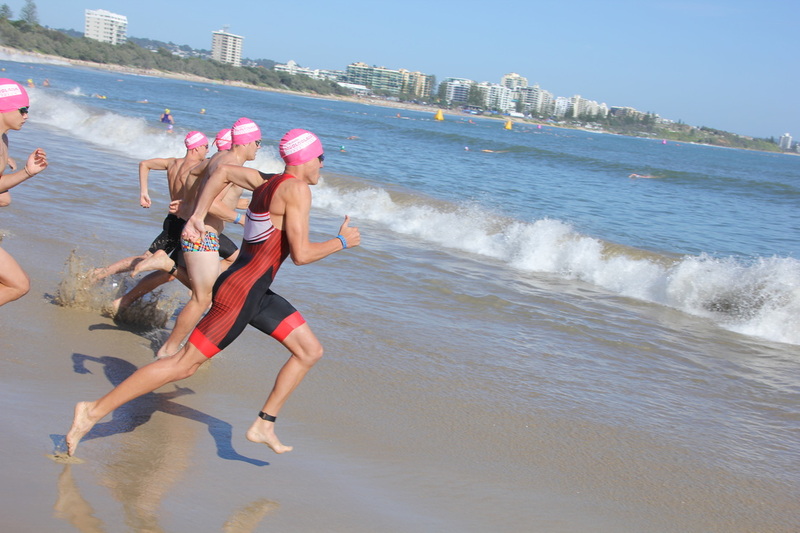 I am looking forward to the up-coming Time Trials for the run and swim legs – the goal is to make the times to qualify for the Talent squad. 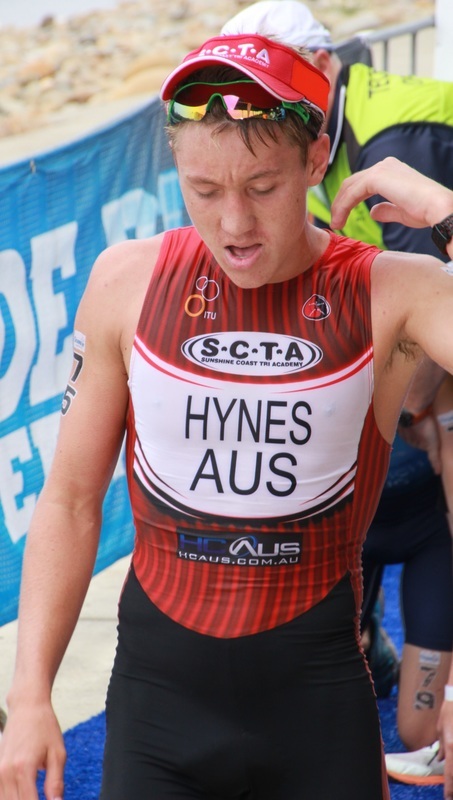 The biggest improvement I am looking for is my cycle leg and with a second winter block in my legs, should assist me in the competition at Runaway Bay with a goal of qualifying for the B final series this year. The other part of the racing I am looking to improve this year, being my second season, will be my start and placement in all the swim legs, to get my races off to a better start. This year I will be looking closer at the nutritional side of the sport, and monitoring what I eat as well as hydration, both at races and training, so if I have a bad race or training session, I can take that food out and replace it with something better to see if that fixes the problem. There is only one focus I have for my future and that is to represent Australia and, without sounding arrogant, will succeed in this conquest….it may not be this year or next but I will not give up until I do…..and then my real challenge starts….to keep representing!.